Hello to my fellow towing friends. This past week we got a lot of calls about Front Hitch Receivers. I had to stop and think a minute about where the interest was coming from and it occurred to me that in the northern part of the country a lot of people are pulling and storing boats this time of year to get ready for winter….makes sense. Many of the callers were asking about how hard they are to mount, how are they used and are there accessories available for them. Good questions that my pal Les and I are going to answer in our next two learning center posts. Let’s start with the basics. What is a front hitch receiver? 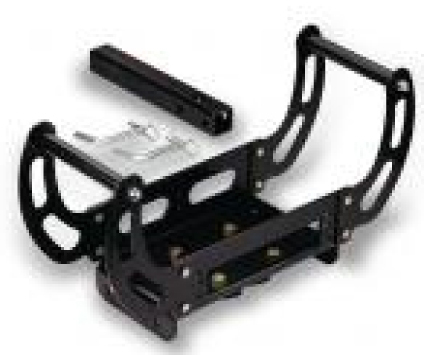 It’s essentially the same as the hitch you would mount to the rear of your vehicle except it is designed to mount to brackets behind your vehicle’s front bumper. 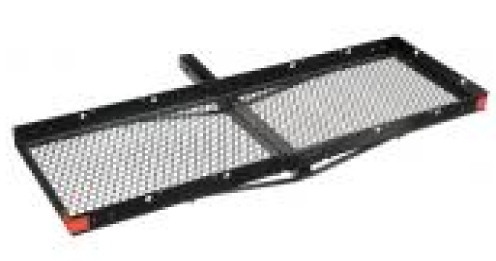 These are most commonly used on RV’s, SUV’s and pickups. Often times these vehicles have pre-existing holes in the frame which makes the mounting process quicker and easier. Installation time can be as quick as 20 minutes. Like rear mounted hitches, the front hitch receiver is vehicle specific so you should check our vehicle chart here to make sure you get the correct product. This is a pretty affordable add-on to your vehicle too as most will vary in price from $129 - $225. Not too bad for an accessory that can save you time, space and add functionality. How would I use a front hitch receiver? Here’s the fun part. Let’s say you’re going to park your boat or trailer into a really tight space and you haven’t got someone to guide you in. You can slide in your ball mount and hook up your boat or trailer to the front of your vehicle to give you better visual access to the space you have to work with. I’ve had to use this on some tight boat landings too. There are a number of other helpful accessories that can be pretty handy. Here’s some examples. Winch Mounts slide in to the receiver and allow a winch to be mounted to the platform which can be really handy when you do some off-road work and run the risk of getting stuck. Also good for pulling heavy docks out of tight spaces and an endless number of other uses. The Universal Spare Tire Carrier is a great way to free up space in your vehicle and keeps the rear hitch freed up for towing. The Receiver Mounted Service Step plugs in to give you a step up for easy window cleaning on your bigger vehicles or RV’s. 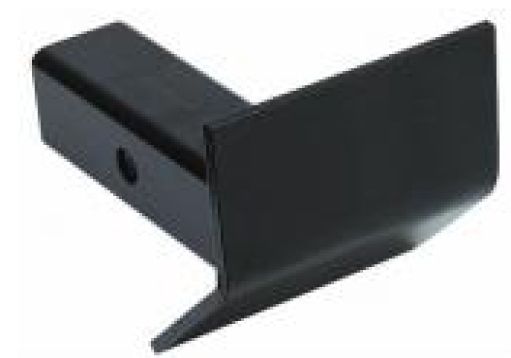 The Receiver Tube Skid Shield is especially important for off-road enthusiasts. This keeps the open hitch tube from digging into the ground when you hit a low spot in the terrain. Are you towing something in the back of your vehicle and still looking for more storage space? Use your front hitch receiver to add a cargo carrier. These accessories can add safety, flexibility and space saving assistance to your vehicle. Take a good look at this affordable option to assist your towing needs. Stay tuned for our next posting in this learning center as we’ll touch on how to mount these useful devices. Still have a few questions about front hitch receivers? Give Les or I a call. We’re here and ready with the answers to your questions. You can call us at 877-509-0719.